The DVDs on this page are sold exclusively through convenience stores and grocery stores in Japan for a limited time. 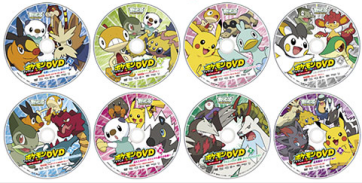 As such, a lot of the same online retailers that sell the other Japanese DVDs do not offer these discs for sale. All discs are Region Two (Japan only) encoded. Each pre-Best Wishes disc contains one episode apiece. A review of these discs can be found over in the Features section. 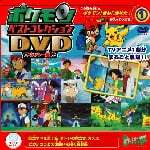 Pocket Monsters Best Wishes TV Animation Collection DVD ~ "A New Journey"
Pocket Monsters Best Wishes TV Animation Collection DVD ~ "Pokemon Battle"